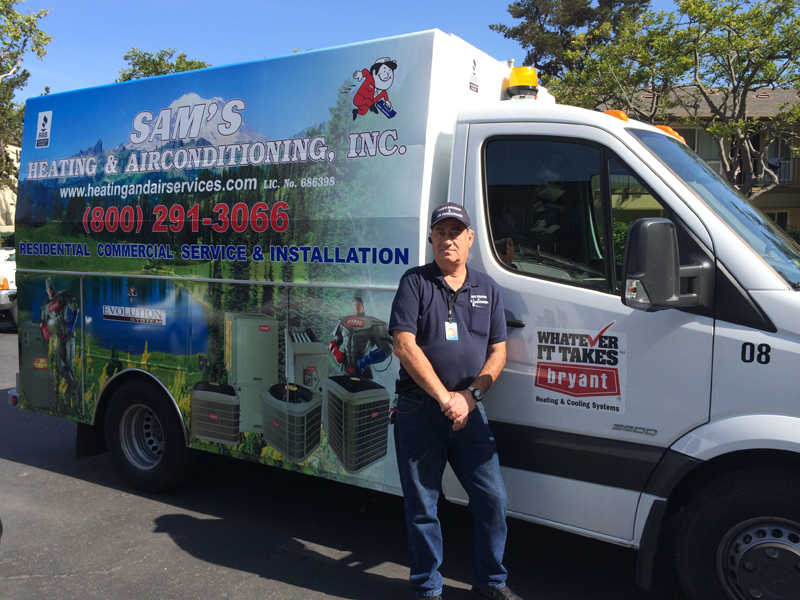 Sam's Heating & Air Conditioning, Inc., is a full service contractor celebrating over 25 years of operational excellence. Our company has extensive experience, along with a strong reputation for complete attention to detail and well thought-out designs to meet our customer's needs. We are continuously improving our offerings and researching new products to provide unique, customized solutions for every home comfort need. In addition to our exceptional customer care, we are always available to answer any questions or assist with your home comfort and design needs. Our customers can be assured that when you work with Sam's Heating & Air Conditioning, whether it is regarding a small service repair, preventative maintenance, indoor air quality or system upgrades, we are committed to providing you with the level of quality and service that can only come from a business committed to your complete satisfaction.